Factory-Certified quality Parts. Our Dealership specializes in Factory-Certified Parts. Don’t trust your vehicle with parts that may not have been designed for your vehicle. When you purchase parts from our dealership, you can rest assured that you are getting the highest quality parts from experts that know your vehicle. When thinking of upgrading your vehicle, think Luther INFINITI of Bloomington. Browse our store to get a hint of what we have on offer. Our Bloomington INFINITI parts store has everything that you need to keep your vehicle beautiful inside, as well as outside. Our wonderful team of knowledgeable and helpful professionals can help you out at every step of the buying as well as in the installation process. Our INFINITI parts department in Bloomington is the best place if you are looking for new upgrades for your vehicle. Call us at (952) 888-5555 or come by in person if you not sure of what components are best for your vehicle. 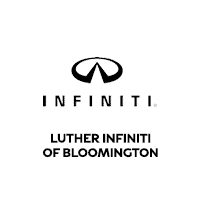 Drop by the Luther INFINITI of Bloomington parts department, near Edina, today!